During the last week and especially yesterday (Wednesday 12th February), communities across Britain bared the brunt of strong gusts of wind which reached speeds of up to 100mph. Yesterday has already become known as ‘Wild Wednesday’ due to the hurricane-force winds that we suffered throughout the day and night. The weather caused travel chaos forcing the cancellation of hundreds of trains and road closures and left tens of thousands of homes without power. The damage caused to property is immeasurable. From serious, structural complications to more minor loose fittings and everything in between, homes and businesses all over Britain felt the effects. If your property has suffered damage in the storm, now begins the repair process! It can be difficult to know where to start; do you call the insurance company first, do they have to send someone out to fix the problem? Or can I go ahead and arrange my own repairs? The answer; get on with it! Sooner is always better in these cases and you don’t have to wait on hold all day to speak to your insurer first. But what about if you live in a rental property, who is in charge of fixing the damages then? It’s simple. 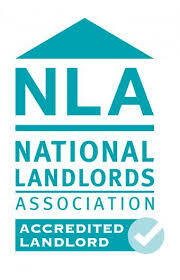 Your landlords or letting agent are responsible for fixing any issues caused by the weather. Your only responsibility is to contact them immediately to report any damage to avoid the problem getting worse. On the other hand, if you are a landlord and the bad weather has taken you by surprise, don’t worry! Mistoria offer a 24 hour maintenance support service for landlords that will help you repair any damage that your rental properties may have suffered quickly. Call our maintenance team today on 0800 500 3015 or contact us on info@mistoria.co.uk for more information. We can even help in extreme cases, such as removing and repairing damage from fallen trees. Call our team today to see how we can support you and your property.